Need Quality Appliance Service in Hillsborough? Call (919) 626-3670! Your appliances are meant to make your life easier, not harder. From dishwashers to dryers, these appliances can make a world of difference in your day to day chores. When one of those modern amenities stops working, however, it can feel like your whole day comes to a halt. At Mr. Appliance of Durham-Chapel Hill, we understand how frustrating it can be when a refrigerator or washing machine stops working effectively. That's why our skilled technicians are here to help! Ready to experience quality appliance service in Hillsborough? Call (919) 626-3670 to schedule a service today! For over 20 years, Mr. Appliance has been the trusted name in the nation for appliance repair. 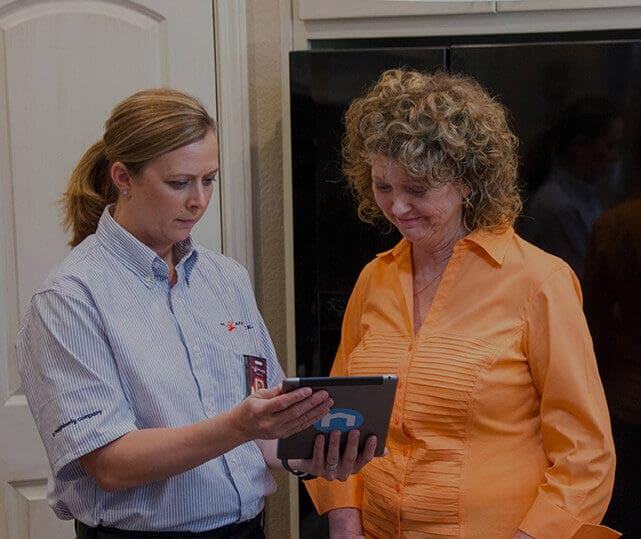 We understand how important your kitchen and laundry room appliances are to you. That is why we provide fast, effective, and affordable Hillsborough appliance repair. At Mr. Appliance, we strive to make your appliance repair as pleasant as possible. That means hiring competent, friendly professionals who know what they are doing. We pride ourselves on our hard working team. They understand the nuanced workings of a variety of appliances. They will be respectful and polite. They will be uniformed and tidy. They will leave a clean work space. Learn why residents in Durham and the surrounding areas trusts us for Hillsborough appliance repairs. Call (919) 626-3670!